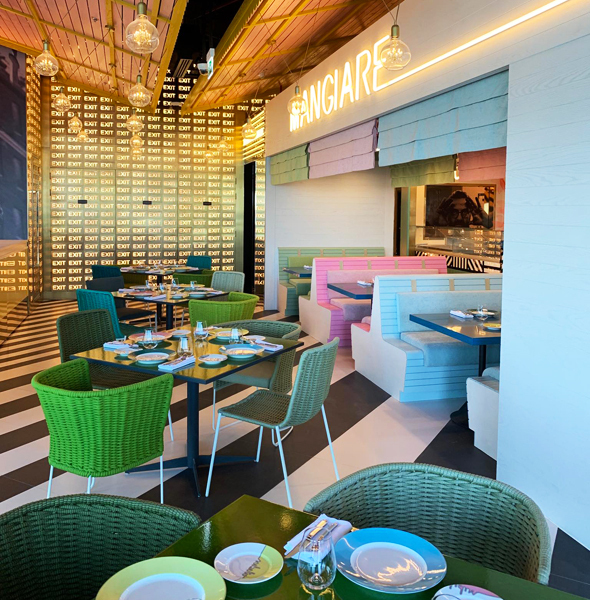 Swanky restaurants by celebrity chef’s are nothing new in Dubai, in fact, we’ve previously rounded up all the brilliant celebrity chef led restaurants in Dubai, but there’s a new arrival that’s got us seriously excited. 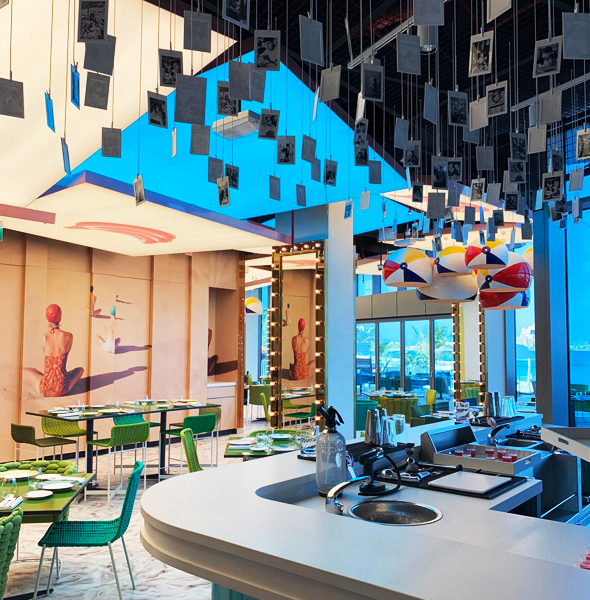 Opening on Sunday February 10 is Torno Subito, an Italian restaurant by acclaimed chef Massimo Bottura that will open its doors in the recently opened W Dubai – The Palm. Bottura is the mastermind behind the currently ranked World’s Best Restaurant, Osteria Francescana, and it will be his first restaurant outside Italy. Torno Subito is inspired by Massimo’s childhood on the Italian Riviera, and takes its name from signs that would hang in the shop windows when their owners would take an extended lunch break. Roughly translated, ‘torno subito’ means ‘I will be right back”. Guests can expect to dine in a ’60’s-esque wonderland, decked with woven green chairs, life sized beachfront imagery and walls, and lighting reminiscent of dressing rooms and marquees from the golden age of Hollywood,’ according to a statement by the W.
There will be both indoor and outdoor seating at the beachfront restaurant, and a handful of pedalo’s on the beach will allow guests to enjoy a selection of dishes with bottle of bubbly on a pedalo at sea in true 1960s style. A roving gelato cart will deliver desserts to guests on the terrace and pasta bowls will be available to order by size: with both medium and large options available. 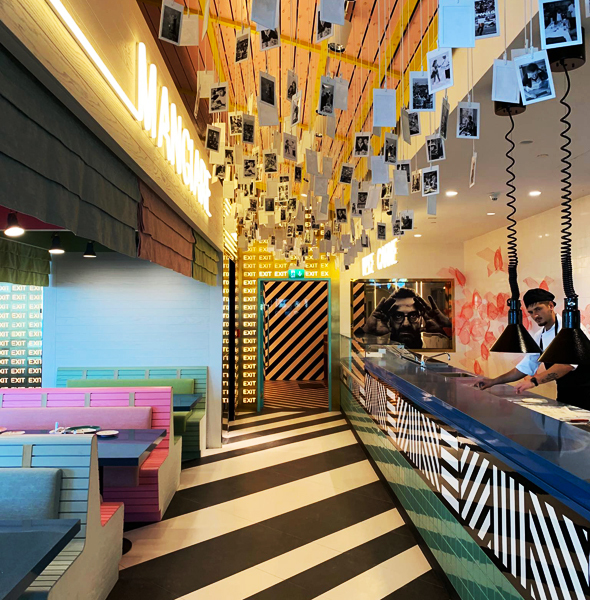 On the menu, guests can expect ‘deeply personal nostalgia’ mixed with ‘decidedly avant garde’ dishes on a menu of Massimo’s favourite recipes.